One of Judaism’s most important concepts is that of kedusha — holiness. Kedusha is inherent in God, but also can be created by people in their actions. These actions are usually found in three categories — sacred time, sacred space and sacred life — and can be expressed in both ritual and ethical commandments, and sometimes in both at once, like the practice of Shabbat. Individuals can and should strive to live a life of kedusha. In Jewish environmental ethics, one of the most important ways that a community can express the idea of kedusha is through the greening of their sacred space, the synagogue. Synagogues traditionally have been designed to reflect the structure and ethos of Creation. In a modern ecological context, we can continue to have our synagogue spaces reflect Creation by turning them into living, green, healthy buildings that support life rather than contributing to its destruction. The synagogue can truly be a symbol and center of kedusha and inspire everyone in the community to green their own homes, thus making them sacred spaces as well. contributing to the overall quality of life of the community. The first step is to form a Green Team — a group of leaders responsible for planning and overseeing your environmental initiatives. Members of the best Green Teams care about the environment and represent different areas of responsibility, such as worship, education, facility maintenance, finance and social outreach. Good Green Teams include respected leaders within your community who know how to get others involved. It is critical that the rabbi take an active role in the Green Team in order to make it a success. Forming a Green Team is the best way to get your synagogue’s environmental initiatives off to a strong start. Hold a compact-fluorescent light bulb sale. Invite your members to sign an environmental petition. Taking quick actions allows you to identify supporters within your congregation, and build momentum for future efforts. But don’t stop once you’ve taken action. Successful institutions communicate actively about their accomplishments. They understand that by celebrating small victories, they lay the foundation for long-term success. A good way to build momentum is through a sermon focused on religion and the environment. 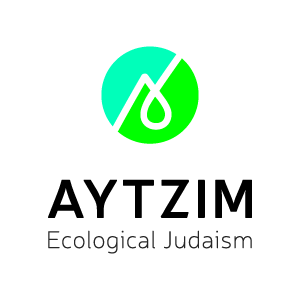 Whether it’s offered by the rabbi or a guest speaker, a sermon or lecture raises awareness and moves your synagogue along its path to environmental action as it publicly establishes the values that the community is trying to express. After the sermon or program, get your members involved by providing them with the opportunity to sign a pledge or letter affirming their religious-environmental values. Post the letter or pledge in a prominent location for several weeks, giving your members the chance to embrace these values publicly. Once your members have stated their belief publicly, they’re more likely to support future environmental initiatives. Assessing or auditing your synagogue’s current environmental activities provides an important foundation for future efforts. This audit should not only include the physical facility and its maintenance but also worship and liturgy, religious education and social justice-activities. It is very important that the Green Team invest the time and effort to complete this audit, or a comparable tool. Once you’ve conducted your audit, review its results and make an action plan for the coming year. Set specific, achievable goals within a two-year time period if possible. List the resources you’ll need to succeed. Good planning is an integral part of successful religious-environmental leadership. By creating the audit, you will also be able to calculate if you have achieved the 14-percent energy reduction-goal of the Jewish Energy Covenant Campaign. Many researchers have concluded that transportation represents the greatest negative environmental impact created by the average U.S. citizen. Encourage congregants to use mass transit, buy cars getting at least 30 miles per gallon, carpool, bike, and most importantly, walk wherever possible. Ask people to calculate their transportation-related carbon footprint and reduce it by 14 percent. Some synagogues have instituted a regular carbon-free Shabbat when members walk or bike to services. Meat production is the leading source of greenhouse-gas emissions worldwide, and creates enormous amounts of toxic waste. Animals are treated with appalling cruelty on factory farms. Ocean-fish populations are rapidly declining, and fish farming releases large amounts of pollution. Decrease the congregation’s use of meat, dairy and fish at communal meals and celebrations. Conduct an energy audit of the synagogue and create a checklist of important areas to improve energy efficiency. For example, conserve energy by using a programmable thermostat, decreasing temperature when parts of the synagogue are not being used. Use energy-efficient lighting such as compact-florescent light bulbs. Create a campaign to make sure that lights, computers and other electronic equipment is turned off when not in use. Improve insulation throughout the building. Plan future renovations to replace the building’s old boilers, furnaces and air-conditioning units with modern energy-efficient ones. Reduce the water temperature on water heaters to no more than 110 degrees Fahrenheit. Contact a local solar installer to see if the building can accommodate solar panels and check out if your state government provides subsidies or grants for solar installations and other energy improvements. If possible, buy the synagogue’s electrical power from a “Green-e”-certified company that uses sustainable sources, such as wind and solar. Studies have linked ingredients in many cleaning, pest-management and lawn-care products to cancer, reproductive disorders, respiratory problems and other ailments. It is important that the synagogue become a toxic-free zone by using green cleaning products, organic lawn care and alternative pest-management strategies. Make the commitment to purchase products with full ingredient lists and plant-based ingredients. The average U.S. citizen spends more than 90 percent of his or her life indoors, which weakens our bond with Creation. Create regular synagogue services and programs that take the community outdoors and encourage congregants to spend some time outside each week. This healthy habit is the best way to deepen people’s motivation to green their lives and become environmental leaders. Rabbi Lawrence Troster is a member of the board of directors of the Green Zionist Alliance. This piece, adapted from GreenFaith resources, is part of the Jewish Energy Guide, published in partnership with the Coalition on the Environment and Jewish Life. "Thus water, after having penetrated the soil, is collected in the clouds and seas; light, after having permeated the earth and brought forth the plants-these children of light-is yet concentrated in the sun, the moon and the stars; the seed, after germination in the ground, is taken from the earth to become the ripened fruit, so that the earth will have to receive in order to give again. Thus one immense bond of love, of giving and receiving, unites all beings."